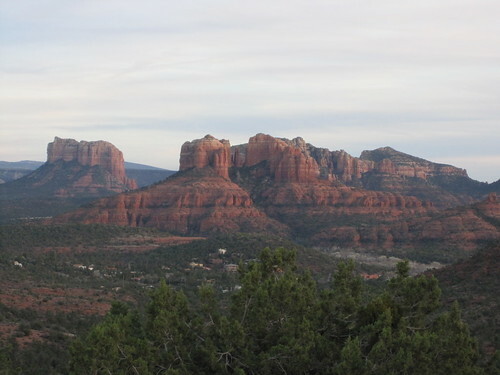 Today, a drive north to Sedona. The views were spectacular. This is a shot from somewhere near Red Rocks State Park. That formation is called Cathedral Rock for reasons I hope are obvious. Arizona is an amazing place, absolutely captivating. I've been here before, but this is the first time I've really experienced the desert. I don't want to leave. Alas, we depart for snowy Boston tomorrow.